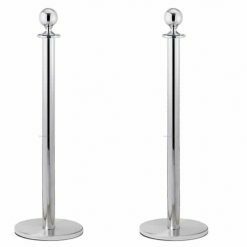 Grand Opening stanchion poles are perfect for ribbon cutting ceremonies and grand openings these silver coloured poles with bases are perfect to attach your grand opening ribbons to. 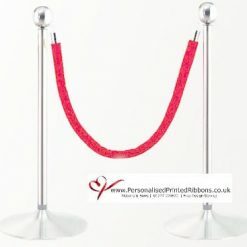 Grand Opening stainless steel stanchion post 90mm finial with a base measuring 350mm diameter. 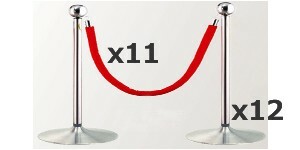 Tie your grand opening ribbons across from each pole and attach a large bow to each pole, perfect for grand opening photographs when at your ribbon cutting ceremony. Ropes sold separately.